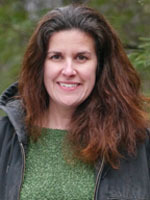 Dr. Pamela Greenwald graduated from Michigan State University with a Bachelor’s degree in Fisheries and Wildlife in 1996 and continued at MSU to earn her DVM. After almost 15 years as a part-owner in a mixed-animal private practice in rural Northern Michigan, she thought it was time for a change. She currently works in Traverse City, Michigan at Bay Area Pet Hospital Emergency Clinic. On her days off, Dr. Greenwald offers integrative veterinary medicine services including acupuncture, chiropractic and rehabilitation, throughout Northern Michigan. Dr. Greenwald also recently received her Masters degree from University of Florida in Veterinary Forensics. 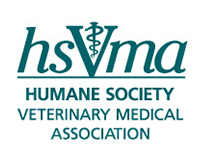 She is currently on the board of the Michigan Horse Welfare Coalition, and is a member of the AVMA, Michigan VMA, American Veterinary Chiropractic Association, and International Veterinary Acupuncture Society. In her free time, Dr. Greenwald enjoys the outdoors and caring for her menagerie of rescued animals with her wife, Heather. She would like to see Michigan become a state where veterinarians are mandated to report animal abuse and to cross-train law enforcement, social workers and animal control officers about the links between animal abuse and interpersonal violence.